Ariad Pharmaceuticals founder Harvey J. Berger has announced he will retire as CEO and chairman of the firm. 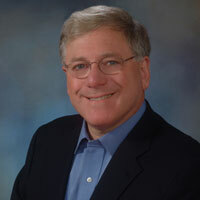 Berger founded Ariad 23 years ago and has served as its chairman and CEO since 1991, leading the company's growth into an integrated global oncology firm. Commenting on his time with Ariad, Berger said: “I am proud to have worked with so many incredibly talented employees and together to have achieved so much for cancer patients in need of new treatment options where none exist. Under his leadership, Ariad brought Iclusig to the market for the treatment of patients with refractory chronic myeloid leukaemia and Philadelphia chromosome-positive acute lymphoblastic leukaemia, approved in the US, EU, Switzerland, Australia, Canada and Israel.